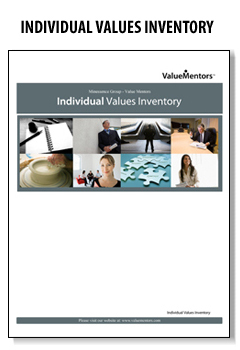 Value Mentors offers on-going coaching & mentoring services to clients who have taken the AVI Values Inventory. 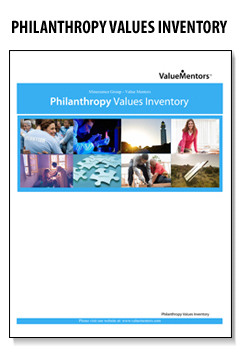 Values and Capabilities; These values and skills can be intentionally deployed to achieve your most meaningful personal and professional objectives while living your values to the fullest possible extent. 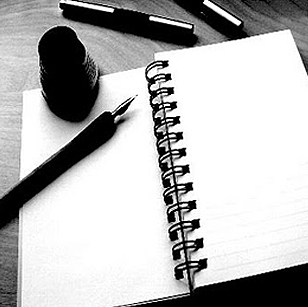 Set your most meaningful personal and professional objectives. Identify and deconstruct any limiting beliefs, assumptions and stressful mental, emotional or physiological patterns and states that prevent the realization of your objectives. Cultivate the generative beliefs, skills, strategies and energy required for achieving them. Problems solve – Identify challenging situations or relationships and create healthy means to actively move to resolution. Clarifying personal vision & mission, career & transition planning, enhancing emotional intelligence, improved communication & relational skills, cultivating life/work balance & resourceful mental/emotional & energetic states. Leadership development, mission alignment, agility, accountability, teamwork, strategic planning, vision/mission/values alignment, delegation skills, employee empowerment, collaboration, & creativity/innovation. Intelligent lifestyle changes, transforming stress into vitality, personal energy management, and psycho-spiritual learning including meditation if desired. Trouble-shooting health issues. The focus of the engagement is to identify and address specific personal and/or professional problems or challenges that are amenable to short-term coaching interventions. The focus is to address the client’s Capabilities (psychological, and behavioral attributes and associated strengths and challenges) that both inhibit and support the realization of their most meaningful objectives. This engagement includes identifying and learning new skills including how to access more resourceful mental/energetic states. Extension of the above mid-term engagement as desired or needed. Coaching engagements are on a retainer and negotiated based on the number of hours per month requested and the length of the engagement. This will generally range from 2 to 8 hours per month, which includes telephone and web-based meetings as well as work done for the client in identifying personal and professional resources. The Value Mentors Organizational Consulting offerings are based on the understanding of a significant shift in our contemporary management and leadership paradigms. This shift may be represented as an evolution from hierarchical leadership to values based leadership and is increasingly exemplified in networked organizations. Many leaders develop a set of values or values statements that are intended to both motivate their employees and guide their cultures. While many organizations boast about their principles and the core values, there are very few that really abide by them with any consistency. This is largely because their stated values are aspired or desired values rather than their actual values and therefore do not accurately represent their true motivations. The result is that employees frequently greet typical organizational values statements with suspicion and cynicism. Know their real values and related leadership styles and act on them. Help their employees clarify their real values in order to support their desire for meaningful work and engage their commitment and creativity. 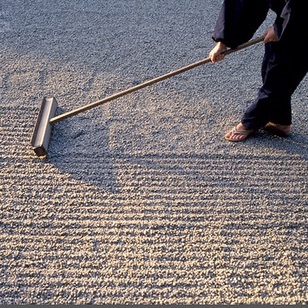 Effectively align their organization’s values and culture with its purpose, structure, strategies and goals. To develop Values Based Leadership (VBL) skills at multiple points in the networked organization. To acquire a common language of values and perspective for understanding the inter-relationship of values, organizational culture and beliefs. To understand why VBL is a key strategy for 21st century organizations. Values based strategic planning is based on the understanding that there is a close connection between the successful execution of your organizational strategy and the actual values of the people charged with its execution. The VM strategic planning model identifies strategic three value tracks that underpin three related types of strategic focus. Each of the above value tracks contains multiple values that are revealed by our assessment methodology. 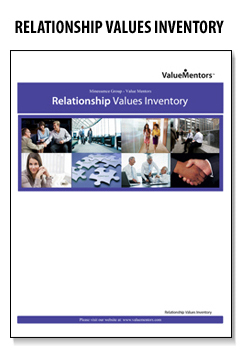 Our CRD (Control/Relationship/Development) values report identifies the dominant value competency for a group or team within an organization and can help to determine which types of values naturally support the likelihood of that group successfully implementing and achieving a particular strategy. An organization’s culture is the essential factor its ability to execute its strategy and achieve business goals and objectives. An organization’s actual and embodied (lived) values are the keys to understanding its culture and how it may be led to evolve in a desired direction. 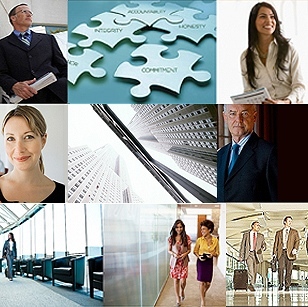 The Value Mentors AVI training & accreditation programs are designed for executive and personal coaches, organizational consultants, senior executives, human resource managers, financial planners and wealth advisors who wish to integrate values assessment and values development skills into their existing roles and practices. The training is delivered to both individuals and groups utilizing web-based interactive and experiential learning modules. Our programs emphasize rapid assimilation of new knowledge and skills through self-paced learning, clarity of learning objectives, continual practice, practical applications and maximum flexibility. Your own branded web based Value Mentors/Minessence Group Mission Control dashboard for the purpose of generating on-line AVI questionnaires and reports for your clients. 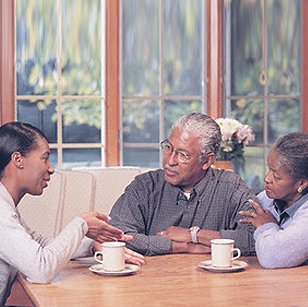 Membership in the Minessence Group – an international on-line community of AVI trained coaches and consultants collaboratively exchanging their unique insights and methods of applying values based interventions. If you are interested in becoming an accredited AVI coach or consultant please contact us. 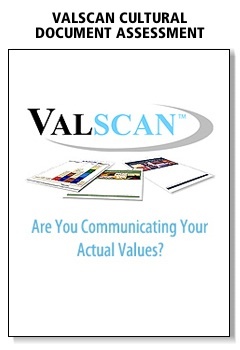 Our ValScan program profiles personal and organizational values communicated in written and electronic documents. These include internal and external materials such as annual reports, speeches, policy statements, HR manuals, advertisements, customer letters, email, brochures, web copy and blogs. Values, Mission and Vision Statements: an essential pre-cursor to develop meaningful and believable organizational assertions. Internal and external branding: What values is your organization communicating both internally and externally to its employees, customers, stakeholders and the public at large? 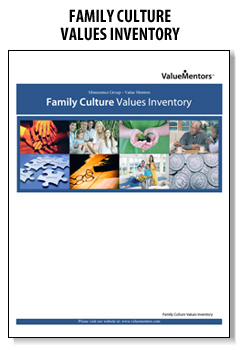 Family Business and Family Legacy Values: Profiles the values of family business and family foundation founders as communicated through historical documents such as letters, diaries, speeches, etc. 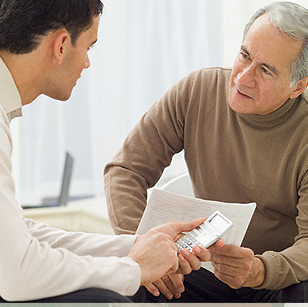 Value Mentors provides consulting services to clients and advisers who are addressing with the unique concerns of family businesses, family offices and family foundations. We help you recognize and work with critical issues, identify and integrate the family’s values into the family business and evolve effective family and family business leadership. We assist you and your clients in building and improving their Human & Intellectual Capital for the purpose of preserving Financial Capital over generations. All three forms of capital are essential to the long-term preservation & growth of family wealth.